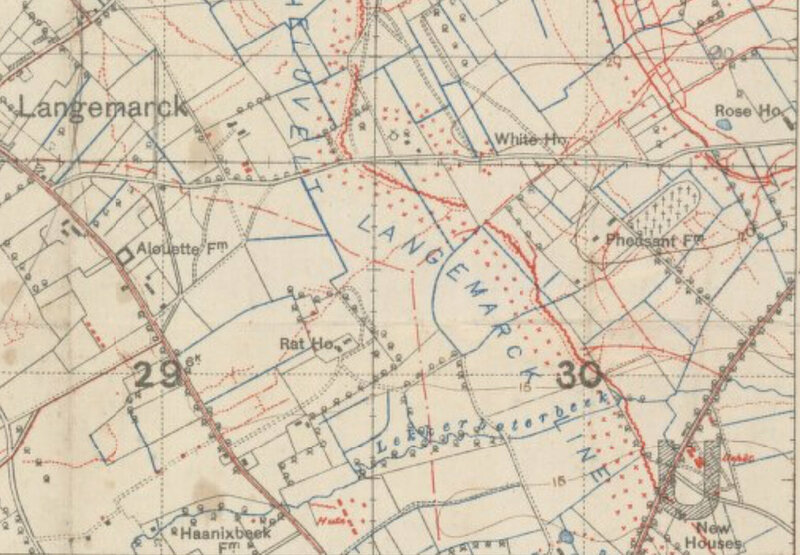 I need to know, which british unit had been in action against the german infantry regiment N° 185 on Sept., 20, 1917. 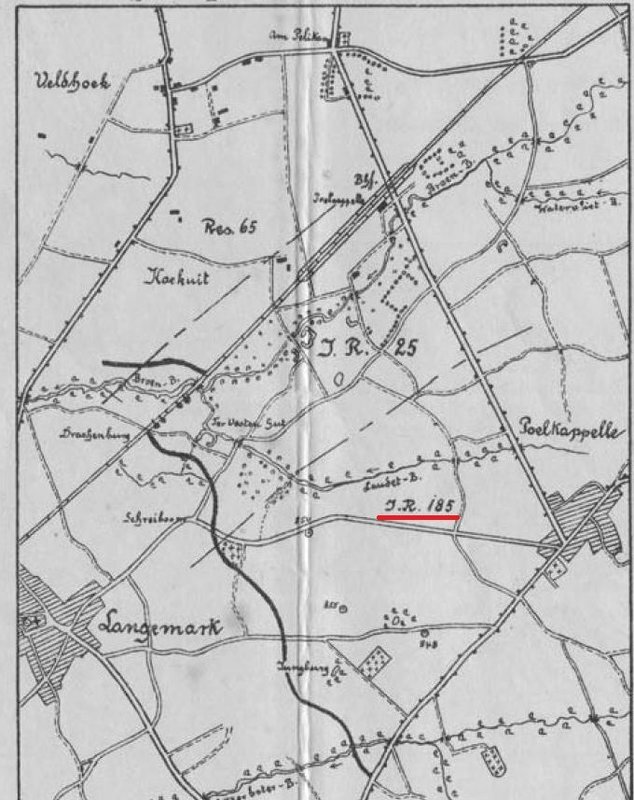 The german regiment was exactly between Langemark and Poelkapelle. This does not answer your question but it may help to narrow it down !! That´s brilliant! Thanks a lot!!! 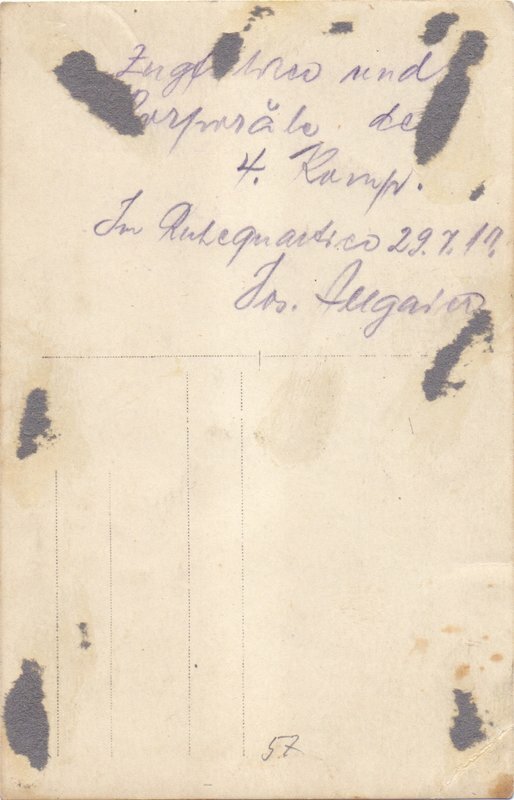 Well, it´s not clear if it was 59th or 60th brigade, but I wait for the german regimental history. Maybe we´ll have a match! The background is, I recieved a photo from a group of NCOs of the 185th regiment. 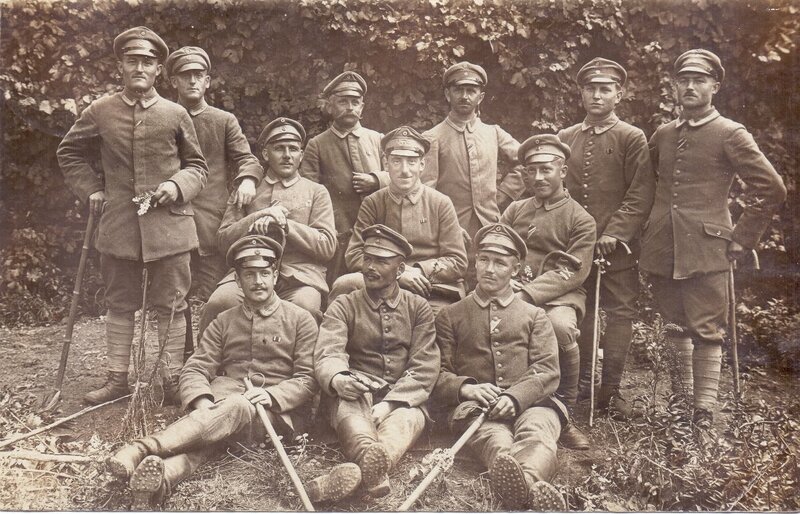 One of the men (the 1st man sitting from the right, Josef Allgaier) was captured in that fight and was brought to POW camps in Wales and Lancashire. It looks like he was probably taken by the Brigade on 60 Bde‘s right flank. 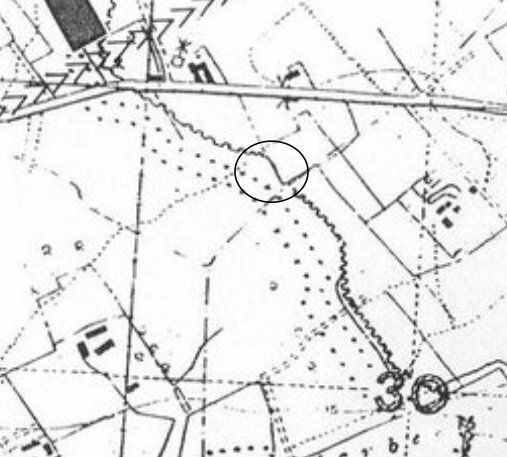 3 & 4 Coys IR 185 were forced back and the Jungburg overrun, which by my reckoning is in square 30.a on Graeme‘s map. The Jungburg was taken by 4th Bn Seaforth Highlanders, (154 Bde, 51st Highland Division). 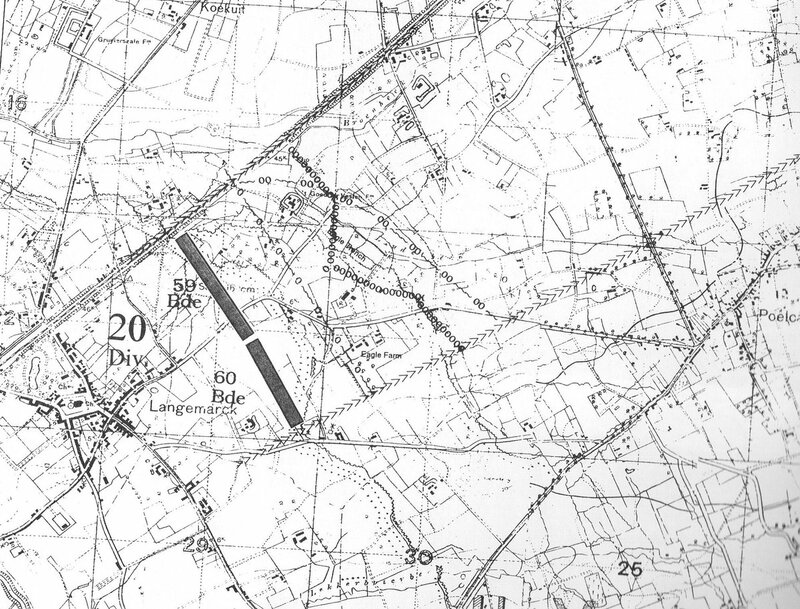 The Jungburg looks like it was called Pheasant Farm by the british, the shaded area to its rear on your map is the cemetery on the attached map. Thankds a lot again, Charlie! 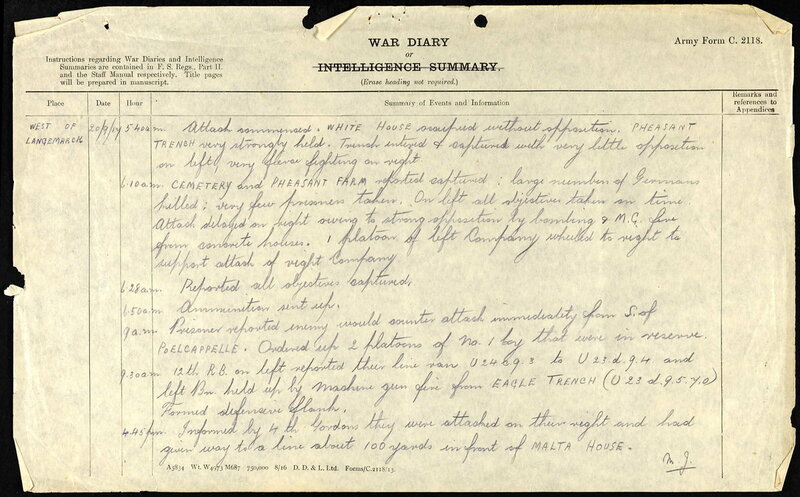 But the diary confirms the regimental history, that at 6am the 4th company was forced to retreat. In that action Mr. Allgaier could be captured! Right? 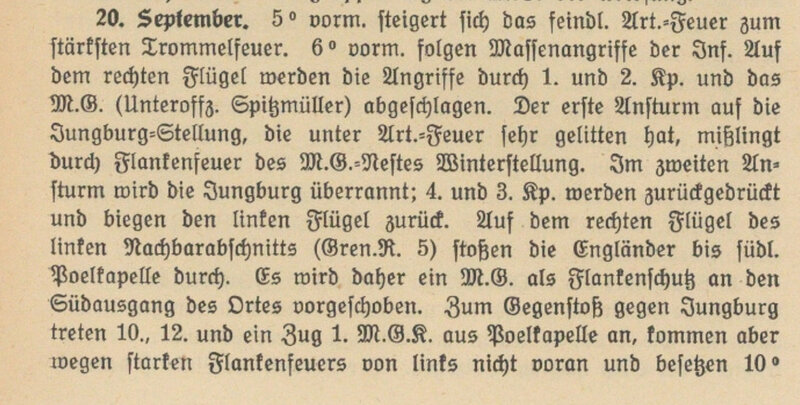 I agree that Pheasant Farm was called Jungburg in german recordings. That´s a little bit strange... 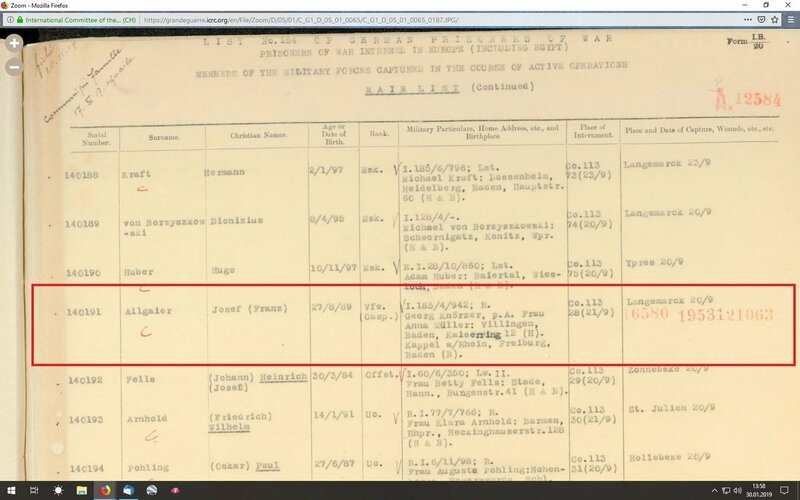 I haven´t seen the 51st division in the "long trail"
After reading the 6.10am entry in the War Diary it would seem that he was a lucky man to be one of the few taken prisoner. Unortunately the regimental history doesn't mention the enemy unit.